We are all transitioning from the narrowly-focused and polarized awareness of the Third Dimension and waking up to the higher vibrations and abilities of the Fifth Dimension. Each of us has already experienced 5D: Think about your most memorable and uplifting experiences of the recent past--where everything went well, interactions were harmonious and loving, and all felt blissful and happy--that’s 5D. For some, the shift is sudden and permanent, but for many of us, the change is gradual, coming in fleeting moments and waves. 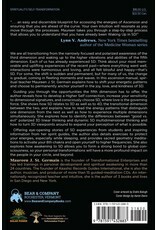 In this ascension manual, spiritual teacher Maureen J. St. Germain explains how to shift your energetic patterns and choose to permanently anchor yourself in the joy, love, and kindness of 5D. 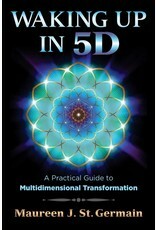 Guiding you through the opportunities the Fifth Dimension has to offer, the author reveals how to develop a Higher Self connection, increase your sensitivity to dimensional signatures, and consciously choose 5D, where love is the governing force. 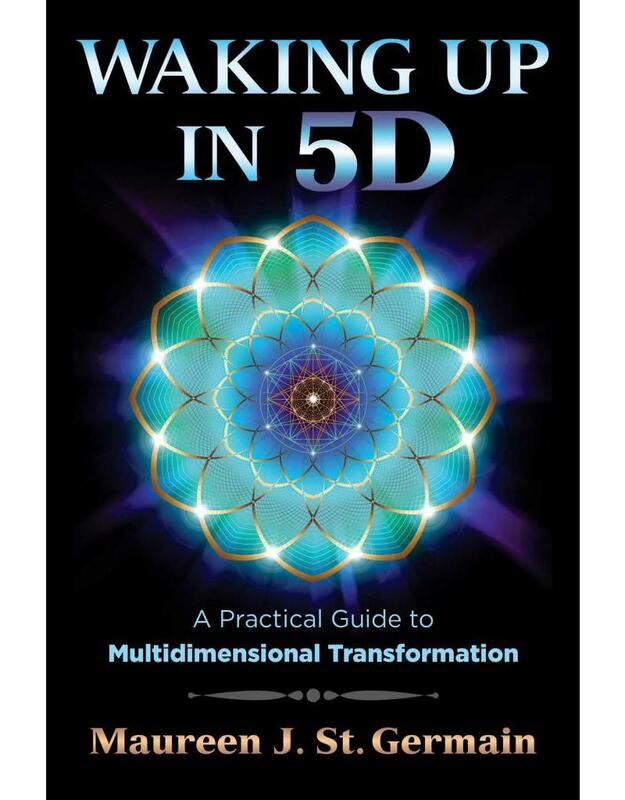 She shows how 5D relates to 3D as well as to 4D, the transitional dimension between the two, and explains how to read the energy patterns that distinguish one dimension from the next as well as how to experience multiple dimensions simultaneously. 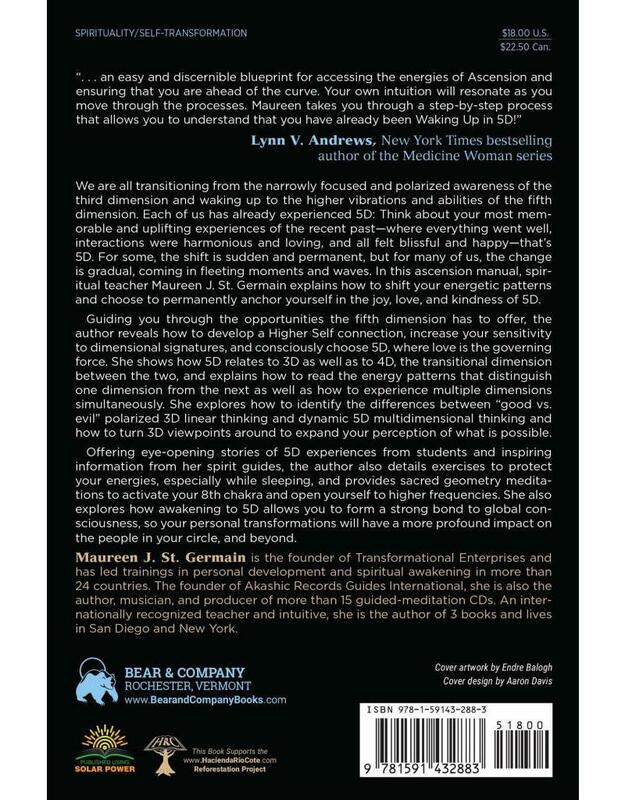 She explores how to identify the differences between “good vs. evil” polarized 3D linear thinking and dynamic 5D multidimensional thinking and how to turn 3D viewpoints around to expand your perception of what is possible. Offering eye-opening stories of 5D experiences from students and inspiring information from her spirit guides, the author also details exercises to protect your energies, especially while sleeping, and provides Sacred Geometry meditations to activate your 8th chakra and open yourself to higher frequencies. She also explores how awakening to 5D allows you to form a strong bond to global consciousness, so your personal transformations will have a more profound impact on the people in your circle, and beyond.